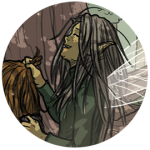 A compendium of the faerie life we have encountered so far. Keep your eyes peeled; there will be much more to discover! When people refer to “The Gentry”, another name for the sidhe, it’s usually these folk who come to mind. While not all are in the court’s most royal inner circle, each one possesses incredible grace and presence. 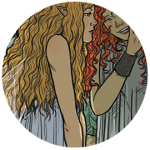 Human size or taller, beautiful, proud, and vain, they are the most impressive of the sidhe host. This group encompasses most of the shorter folk, including the well-known leprechaun and frightening abhartach. While there are many little people in stories of the sidhe, they are seldom given their own category, so we shall call them by their Germanic term to avoid confusion. These are perhaps the closest thing to a brownie you will meet in Ireland. Like brownies, they typically wear nothing but coarse brown fur and are very shy, even turning invisible when they think they are being observed by humans. But with sufficient payment and respectful treatment they will help out in homes and workshops. 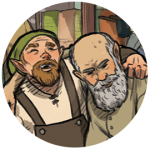 Like the dwarves, these smallest of the fae folk are not given their own name, so we must give them one now. Related to the hobs and pigsies of England, they too love to sow vexation wherever they go. They fly so fast on their gossamer wings that they are sometimes mistaken for insects. There are some exceptions to the sidhe’s social tendencies. 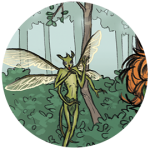 These fae may still answer to the court of the sidhe, but they live on its fringes and often without its benefits… or supervision. As such, it can be difficult to tell whether they mean well or ill, and they could just as easily mean one as the other. You are most likely to encounter them in lonely places, since they avoid big groups, only gathering when there is some profit to be gained. Identifiable by his pipe and gentlemanly dress, a geancanach will get a young woman’s attention with flattery and proceed to woo her. When their hands touch, his skin poisons the poor maid and she will slowly and quite literally die for her love for him. Some think marrying another will save their life. A childlike dwarf famous for her almost painless scalp transplants. Sick of the hair you were born with and want to try someone else’s? She’ll hook you up, for a price. A very particular kind of sprite, it likes fly into your room in the early morning hours and use its multiple arms to efficiently tie the hair on your pillow into knots. Also responsible for the particularly stubborn cowlick or the straightener-resistant kink. 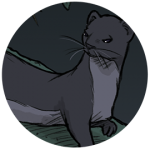 Introduced in Chapter 3 with an attitude and a very astounding voice for a rodent, this stoat’s true nature has yet to be revealed. 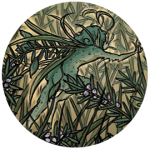 Though they resemble vegetation, they are sprites born or conscripted to a specific purpose. Like a trap hidden in the grass or undergrowth, they curse the unwary when stepped on or otherwise offended. The creature who started it all. Stepping on this grass will give you the impulse to wander until either the spell wears off in the case of a wild-born sod, or if the sod has been created deliberately you must reach a desired destination, or die of starvation and exhaustion. Some believe that wearing your clothes backwards makes you immune to its effects. If you tread on this grass, you will be suddenly overwhelmed by hunger and weakness. This can also eventually be fatal, especially if sent by the Fear Ghorta, the Hungry Man who judges kindness to strangers in times of famine. Eating immediately will remove the spell, or you can sprinkle bread crumbs on the sod itself to neutralize its ability to harm. As in other cultures, the púca is a shape-shifter, its most popular shapes being a hare, dog, and a horse. Humans who look into its eyes feel compelled to climb onto its back, where they are taken for a wild ride and dumped somewhere far from home. In Ireland, though, their nature is not so frightening. 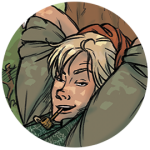 They are as mercurial as other fae but are as equally inclined to help as hinder a person. This court lurks as the polar opposite of the gentry, because they reach beyond impulsive mischief to outright malevolence, especially towards humans. 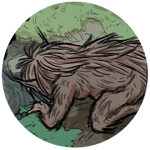 While the sidhe are known for their grand parades and inescapable dance parties, the sluagh have their Wild Hunt, a large hunting party that sweeps across the countryside looking for creatures to take captive. 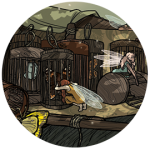 In spite of their attempts to drag others into their numbers, they never seem to have quite enough to take the rule away from the sidhe. There are differing interpretations of Irish folklore, and like any writer doing research for a work of fiction I had to choose which rules to follow and which to ignore. Therefore, while some of these Irish faeries draw directly from the most popular traditions, others have been altered, and some completely made up. 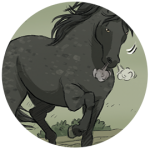 This page has not been set up to be an authority on Irish folklore in general, but to entertain readers of Stray Sod. And I hope it does whet your appetite to learn more about the mythology unique to Ireland, which is fascinating and complex.